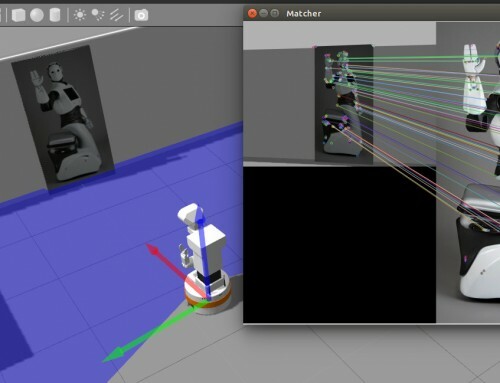 ROS-Industrial project aims to apply ROS (Robot Operating System), the de facto standard in robotics, to the industry. 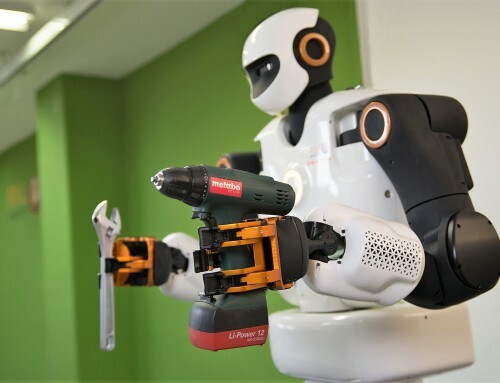 Having a shared open operative system in robotics gains relevance when it is applied to manufacturing applications and opens new possibilities for robots to be integrated in assembly chains. 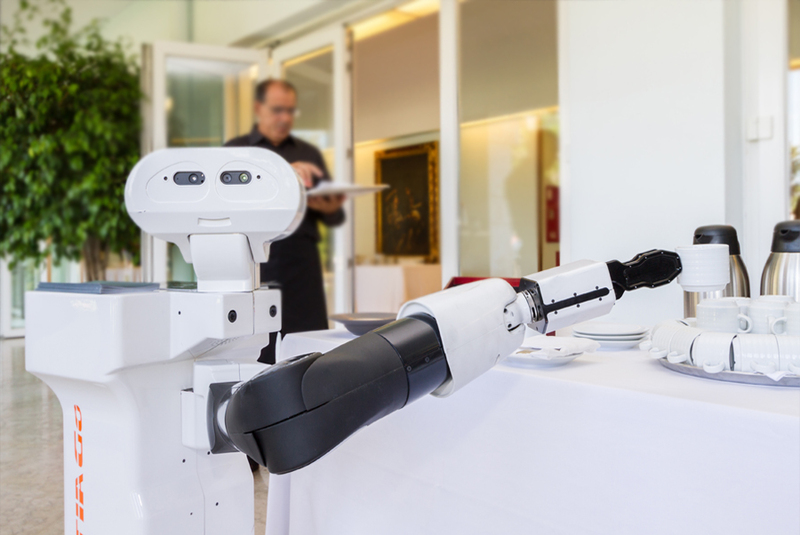 PAL Robotics was invited to the annual ROS-Industrial Conference held last week in Fraunhofer IPA (Stuttgart, Germany) as a company that successfully bases all of its robots in ROS and uses tools such as Rviz or ros_control. 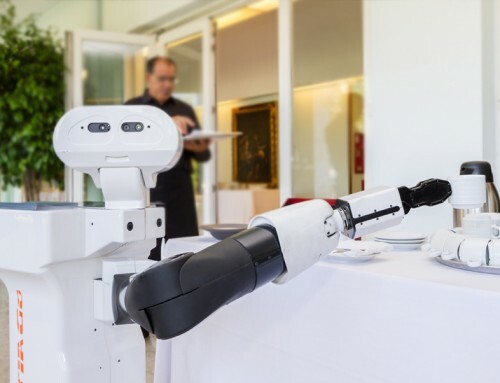 PAL Robotics’ CTO Luca Marchionni shared our expertise in the field and explained the advantages and challenges of applying open-source software to the robots we develop and commercialize. 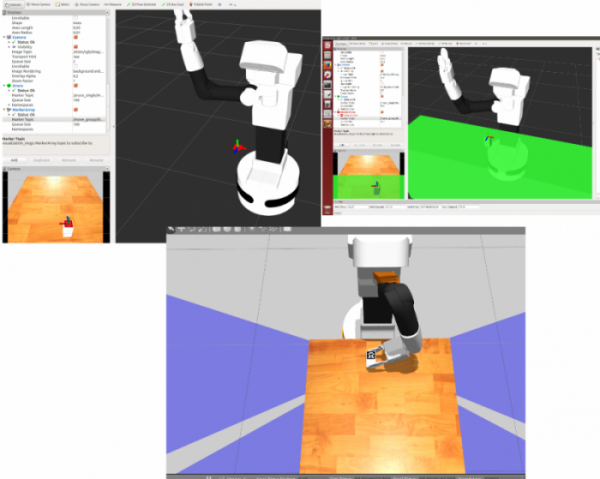 TIAGo robot in the open-source simulation performing a pick&place task. 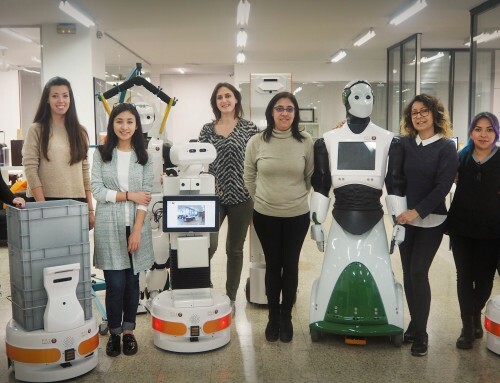 The active community that contributes to ROS is key for creating a common reference and share the knowledge in robotics to push its evolution. 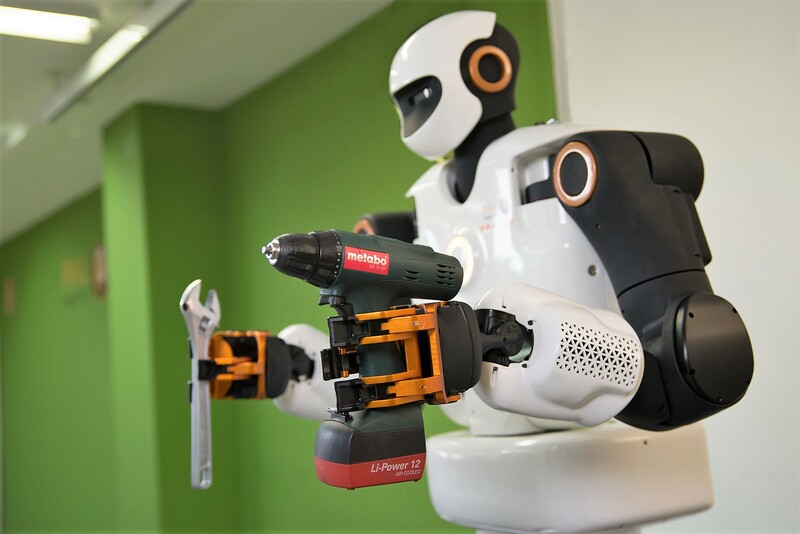 At PAL Robotics we believe on a general-purpose robot operating system that can benefit multiple fields, industry among them. 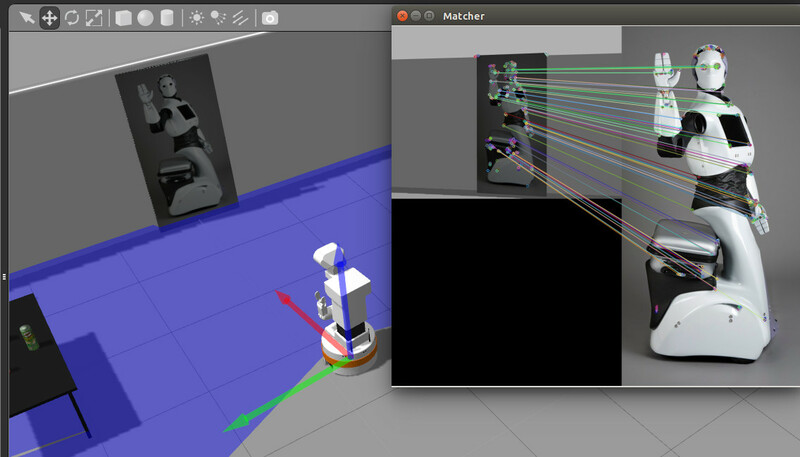 That is why we base all of our robots in ROS and provide their simulation packages in freely available on github. 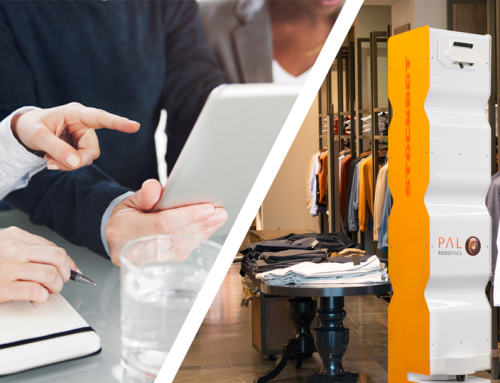 The new open TIAGo tutorials are the latest initiatives we are doing in the direction of extending ROS usage to absolutely everyone. 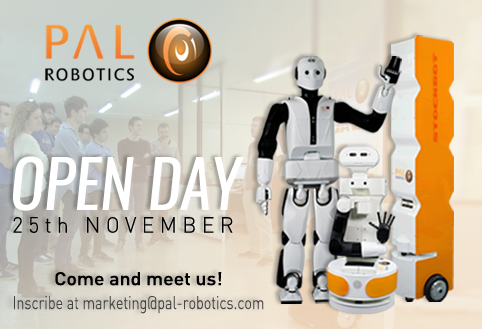 Come to the PAL Robotics Open Day! 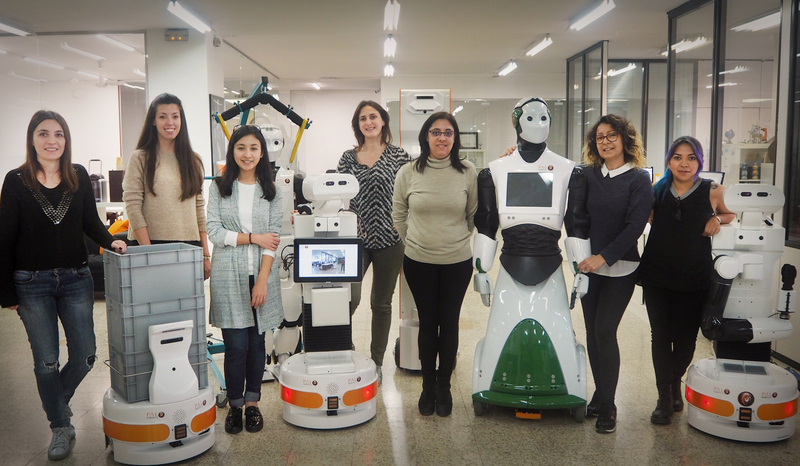 We are waiting for you at PAL Robotics!